Ever since revealing the next entry in the SSX franchise, it seems that EA Sports have been working to reduce the widespread speculation that this newest iteration wouldn't be as over the top or tricky as past points. 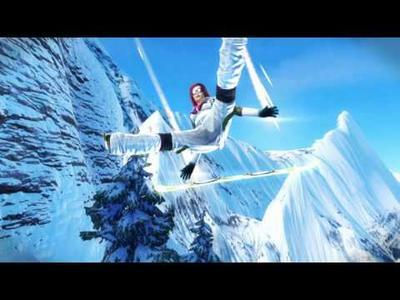 The first trailer for the game revealed an extremely dark take on snowboarding, something out of character with the SSX brand. RUN-D.M.C's "It's Tricky" is back in SSX! The fan-favorite and unofficial anthem of the SSX franchise has been remixed by ultra-versatile Producer Pretty Lights, and is the featured track in this Trick it Trailer — hear it here for the first time! Get Tricky on the slopes of SSX and check out some of the Uber and SUPER Uber tricks you can pull off in SSX. SSX Tricky was arguably the best and most well received game in the SSX series. Its soundtrack, and banner title, featured another remix of Run-D.M.C. 's "It's Tricky". Making a nod to this game while doing marketing for the next sequel is a smart move on EA's part. SSX is currently set to release on February 14th for the Xbox 360 and PlayStation 3 platforms. We'll have more news on the game as it comes.